Effective layout and content – I glanced at this for 3 seconds and immediately knew what the ad was for. Call To Action – visit the site! It’s an easy URL to remember too. Urgency – the $10 discount that expires at the end of the month makes me realize I’d better act soon. And the discount code is easy to remember. 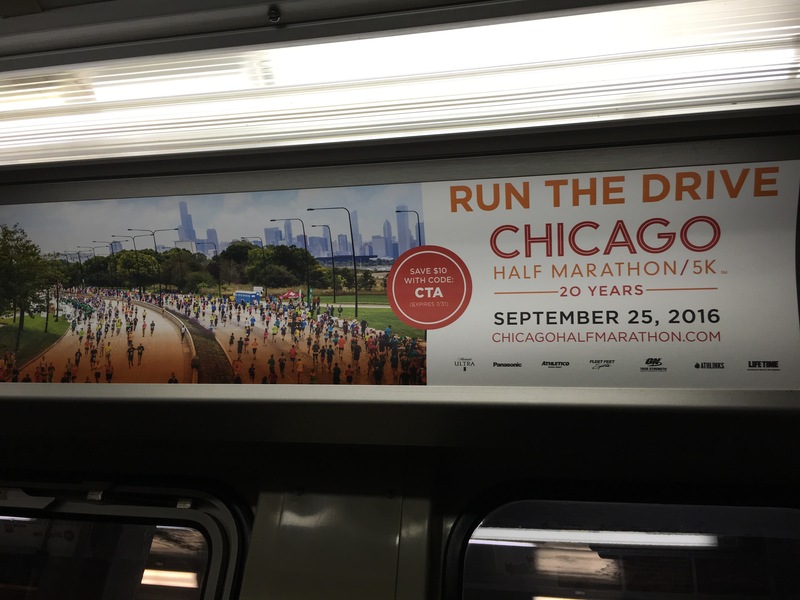 Now, as much as I like this ad, having just had another kid, I’m not gonna register for this race. But kudos to the designers and I’m sure they’ll fill up the 15,000 spots quickly. Want a free analysis of one of your ads? Drop me a line. Tell me more about the ad! Not having a CTA is like a local car dealership paying for a TV ad without the “Come on down to ______ and see our great deals” at the end. I like NatureBox – they mail you snacks each month. I bought a subscription for my wife as a Christmas gift because she works from home and likes to snack between meetings/calls. They have good food (although I’m not sure it’s so healthy). I was excited to see they’re now offered in select Target stores – got a coupon to get a free bag in our last NatureBox. I also got the above flyer to refer a friend. I would definitely have done it, but there was no Call To Action – no “log onto naturebox.com, visit natureboxreferrals.com” – nothing. Now I know that I probably need to log onto the site, but at this point, I’ve lost interest. Key lesson? Include a CTA on all marketing (especially really expensive print materials!) and make sure you’re providing clear, detailed instructions if there are many steps needed for the person to take the action you want them to take. Want a free analysis of your current marketing campaigns? Drop me a line. Yesterday I saw this ad on the train ride home. Now it’s been a while since I’ve dated, but I don’t remember many dates where I was tickling her neck while drinking tea. Nor am I sure that’s a dream date for girls. And so ultimately GH failed to get me to take action by ordering dinner through their app. Instead I spent 2 minutes wondering what the design team (or agency) for this ad was thinking and then 5 minutes writing this post. I’m all for real world imagery in products and ads since they get the audience to envision a scene (aspirational or realistic). But they need to inspire action, like this other ad I saw on the train.